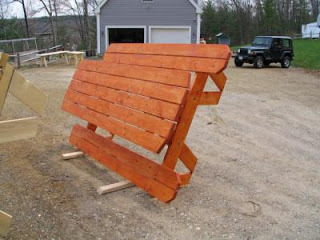 If you are interest in purchasing www.TheWachusettRegion.com or in advertising here let me know. The Wachusett Region is made up of five towns located in central Massachusetts. The five towns are Holden, Paxton, Princeton, Rutland, and Sterling. Each town has its own Elementary & Middle School but share a central High School, and central district office, both located in Holden MA. This is not your average picnic table. 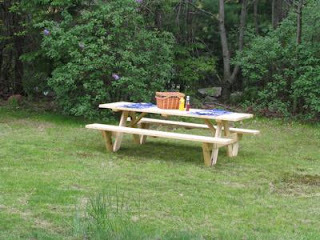 My goal here was to design a better picnic table, and a booklet with everything you need to know to build this table. 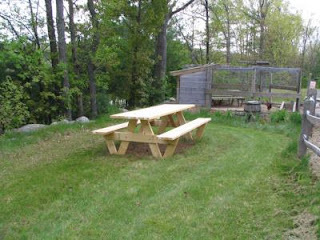 This Picnic Table is being built around the world by Homeowners, Schools, Colleges & Restaurants. 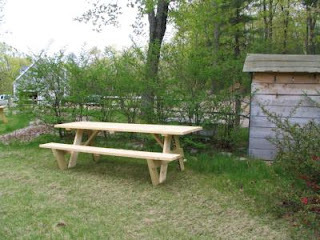 This unique picnic table is Handicap Accessible because it has room for a person in a wheelchair or an extra bench at the ends of the table, and because someone can sit at the ends of the benches without lifting their leg over the bench. 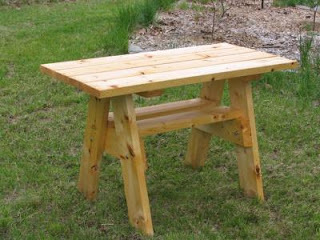 Whether you're new to woodworking or building picnic tables to sell, this step by step booklet will show you how to build a better picnic table. 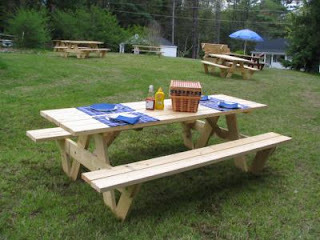 Over 200 picnic tables using this design are built every year and I truly believe this is a better picnic table. As a woodworker when I put this booklet together it was important to me to keep it simple, yet written with enough step-by-step detail that a reader with no woodworking experience can actually build this table. 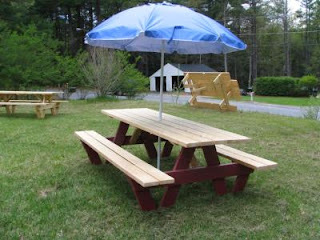 This picnic table design is becoming increasingly popular with Homeowners, Schools, Colleges & Restaurants, and my single bench version is being used as an outside Event Table. I truly believe that you can build this table, and that you will have fun doing it. The table is designed to stand back while you cut the grass. In the spring & summer we have to cut the grass several times a month. This table was designed to stand-up out of the way and to be easy to move. then I flip them all down and put the mower away. It really would not be any easier to mow if I had no tables to cut around. I also stand my tables on one side to store them for the winter. Just remember a strong wind may knock one over. and I build my tables with stainless steel carriage bolts and corrosion resistant deck-screws. 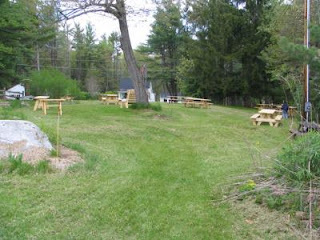 Most of the wooden picnic tables you see are a copy of the original picnic table built 100 years ago. I guess no one told them it was not a great design. 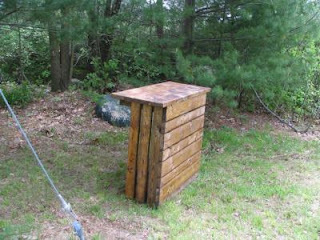 Some people think to build a picnic table; you just nail a few boards together. 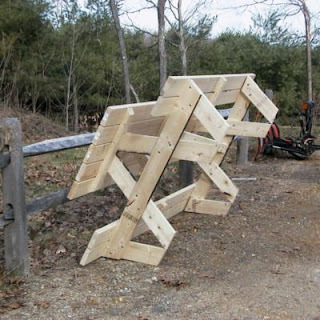 Well that's almost true but let's skip the nails, add a little bit of thought, and build a better picnic table this weekend. 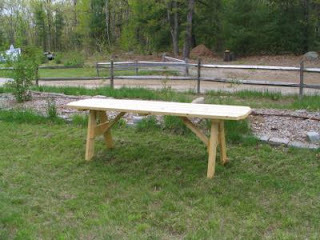 A few years ago I set-out to design and build a better picnic table. and with most tables the legs will weaken each time you tip the table on to its side. 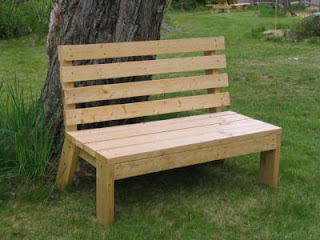 When designing this picnic table I had three goals. I wanted it to be handicap accessible, to be easy to move, and to be easier to get in and out of. I accomplished all of this and more by carefully planning my unique table design. I normally use 8 carriage bolts -w- Nuts & Washers; for high traffic tables I use 16 carriage bolts. I truly believe you can build this table, and that you will have fun doing it. You supply all Hardware &amp; Lumber. 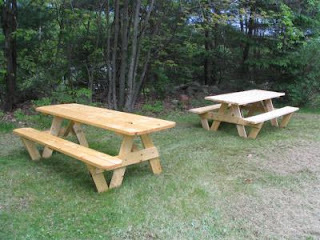 The Picnic Table Plans include easy to follow step by step instructions. A full materials list, and helpful tips, photos, diagrams and more to help you build your table quickly. I don't living in Massachusetts anymore. I'm looking for someone who lives in one of of the five towns, and is active in the community to take over. If you are interested send an email to domains@thewachusettregion.com your email will be received by a friend of mine who also lives in one of the five towns. If you want to get a reply show us you read this message by tell us who you are and why you think you would be a good fit. Tell us which domain you found us on, and and take the time to ask relevant questions using complete and full sentences. I originally created this website in 2005 for the people of Rutland and their families and friends. At the time the site included town phone numbers, later I added local Real Estate listings. Since I was creating one, it was just as easy to create five. When I moved I took the site down. Its back now just to find a buyer before the domain names are released to the world. I would like to keep these 6 Domains together as a Box Set. These are for Sale Indivually. The Wachusett Region Online since 2005. Travel theme. Powered by Blogger.